One terrific benefit of being a farmer’s daughter is that I do get paid in the form of some “junk” fruits. Junk meaning that it can’t be sold in the store because it isn’t the right shape or size or has some cosmetic blemish on it. The fruit itself are perfectly fine but just ugly really. Some of the fruit I got this week for shilling for the farm was amazingly huge. Here’s one of the mega ones I ate the other day. This beauty weighed in at about 2.5 lbs and had a deep orange flesh that was super sweet. The Brix reading was about 14 which makes it super sweet and delicious. The flesh was really fleshy and so ono! 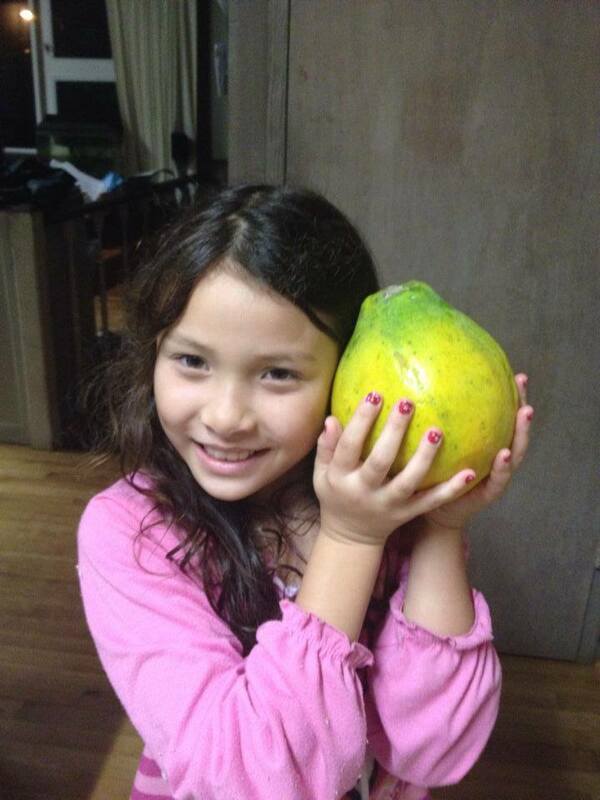 My breakfast tomorrow will be this nice beauty that my daughter is holding. It is nearly the size of her head and just as gorgeous. It is just under 2.5 lbs also. The more I look at the size of these fruits, it made me realize that yes, farmers are smart folks. They choose the GMO seeds to grow strong healthy trees that yield great fruit like these. One fruit makes for 2 or 3 servings and it all came from one tree. That’s a smaller environmental impact when you have a super productive tree indeed. Just look at the fruits and how productive they are. 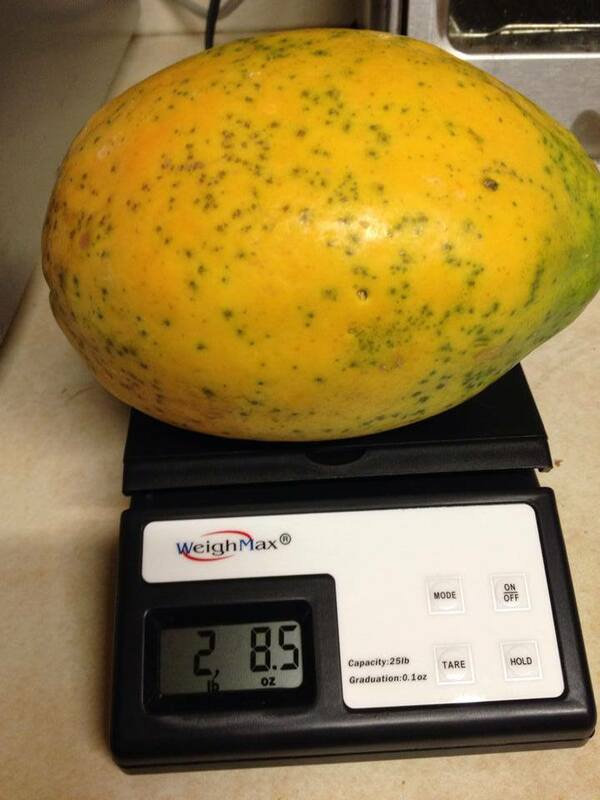 It is clear that those smart papaya farmers who choose GMO really do know why GMO has saved their industry. ← The Right to Know Should be Pay Attention Instead!